Giant Vapes was founded in September of 2013 with a single goal: to make the best e-liquids on the market available in one user-friendly, unified place, saving vapers time and money. As the vape industry has grown, so have we, expanding our selection of products, our involvement in the vape community, and our staff to meet the growing needs of our customers. And, of course, we’ve continued to increase savings for our customers. We offer free shipping for all US and overseas military addresses and discounted international shipping to countries around the world. Our products are listed at the minimum MSRP so that our customers pay the same price with us that they would order direct from the manufacturer. We’ve implemented a rewards program where our customers can earn points, redeemable as store credit, with every purchase. We also have regular sales and promotions, including a weekly discount code for our Facebook Community! 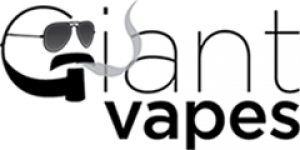 Giant Vapes is a company founded by vapers, for vapers. We built this business with the best interests of the vaping community in mind, and we will continue to dedicate ourselves to providing premium products at great prices and exemplary service to vapers around the world. Business claimed on 2018-04-20, updated 2018-09-07. Melon Milk captures the refreshing essence of a honeydew melon & cream flavored ice pop! You’ll find the luscious, juicy honeydew flavor in Melon Milk really kicks in on the exhale, and the exquisitely balanced, top-quality cream keeps things rich and smooth throughout in this tantalizing refreshing e-liquid. You can’t go wrong with Melon Milk on a hot summer day, or any other sort of day for that matter. Flavor profile: A refreshing and creamy honeydew treat. 2 reviews for Giant Vapes's 4 different products. I was interested in this liquid because it was touted as strawberries and cream meet sugar cookie. However, I was a bit disappointed. This is an okay e-liquid, and I feel fairly certain that I would like either of the two original juices, but together.... underwhelming. The flavor was very neutral and bland, although I could clearly taste all the component parts. I wish this review was as glowing as the other one for this liquid, but I have to admit that I wasn't the biggest fan. This juice is a collaboration between Beantown Vapor and G2 Vapor, both premium juice makers. These talented mixologists have combined two of their most popular juices to create a uniquely flavored and singular liquid. From Beantown's "Oh-Face" we get fresh, ripe, natural tasting strawberries just drizzled with sweet cream. G2's "Mr. Cookie" brings us the taste of freshly baked sugar cookies. At first glance, this seems an unusual combination of flavors. But these flavors are surprisingly complimentary and done in perfect proportion. The flavors are not so bold or overpowering, and yet they just pop in your mouth. The initial taste is creamy strawberries followed by lovely buttery, bakery flavors. You get different flavor intensities depending on how you vape it. At a lower wattage, this tastes like a sugar cookie drizzled with a milky strawberry glaze. At higher wattages, this tastes like a vanilla Oreo with a strawberry jam filling. Sometimes it's a strawberry Danish pastry. I can also taste subtle intermittent bits of caramel from the original "Mr. Cookie" juice. It's fantastic. They've created an absolute winning flavor. I've already ordered my second bottle. Highly recommend. This liquid is only available in max VG at 3 mg nicotine. It comes in a glass bottle with dripper and is priced at $19.99/30 ml. NOTE: After writing this, but before posting, I went back to the webpage to check something but the juice was no longer listed. Vanished. Just gone with no explanation. I must have ordered my second bottle in the nick of time. I emailed Giant Vapes and they informed me that the juice was a limited run and a one time offering. NO! Please no. On further questioning, I found out that these two juice collaborators may be persuaded into making another batch, and then . . . who knows. Apparently the flavor was very well received. So I'm posting this review in the hopes that "Mr. Oh'Cookie Face" returns to the market and that juiceDB readers will have an idea what it's all about, and if interested, can grab a bottle immediately. 3 reviews for Giant Vapes. I have bought an e liquid each week from Giant Vapes since April 2014. Customer service is above par, even if USPS is at fault I will get a 10% discount code to use toward a next purchase without a time limit. Free shipping is an option, normally I order on Friday, receive the e liquid on Monday. The prices are reasonable included is a clearance section. Most of the top name brands are listed on the web site like Suicide Bunny, Beantown Vapor, Primitive Vapor Company, Five Pawns, etc. If you would like to purchase a quality e liquid at a reasonable price with an option of frees hipping, Giant Vapes is the place to shop. Giant Vapes is my go to juice vendor. These guys are awesome and it always makes me happy to see my package from the Hill Giant. Their website is very clean and easy to navigate. Ordering is simple and they have their Giant's Club rewards programs that has saved me some cash. Shipping is quick and timely and better than any other vendor I've worked with. Love these guys! What I like about GV is the huge selection of premium juices to try-one stop juice shopping made easy-and fast shipping too.